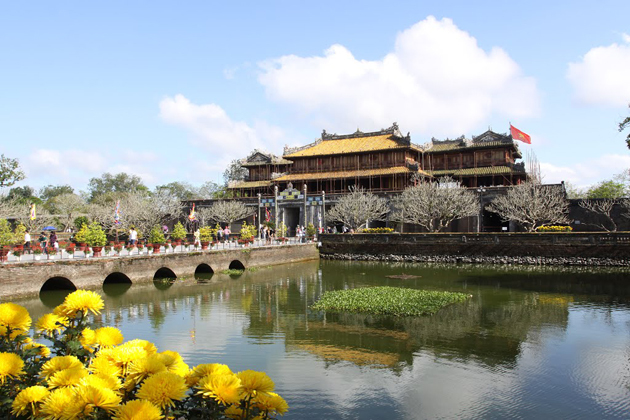 Hue, a cultural city located in the central of Vietnam, was the capital of the Nguyen Dynasty from 1802 to 1945. 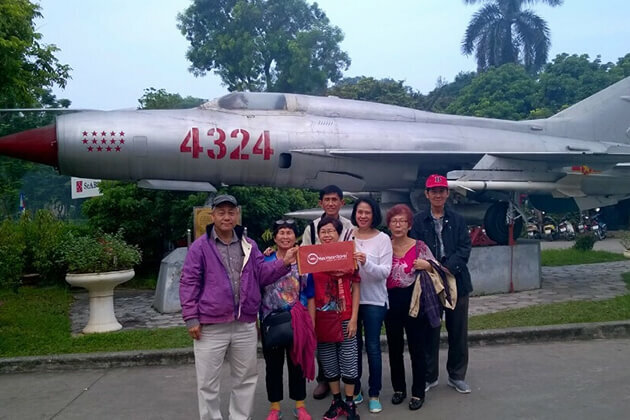 Although Hue went through a tough period in the Vietnam War, it is still the land of peace, of history and poems. 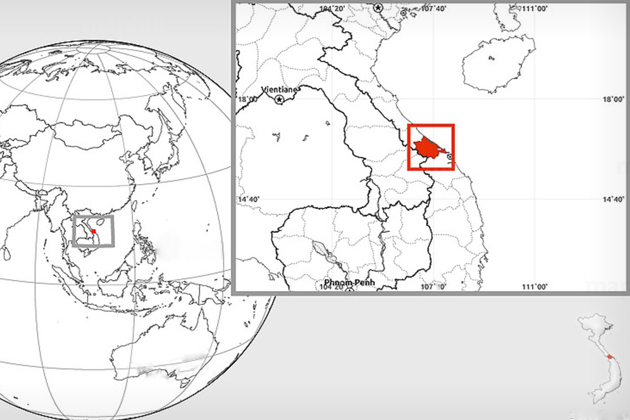 Even the name “Hue”, in Vietnamese, sounds poetic itself. Everything in Hue is picturesque and the historical value of Hue is priceless. With ancient architectures, appetizing local cuisines and the sociality, the kindliness of people, Hue attracts a lot of tourists visiting each year. Take a boat trip along Perfume River ( Huong River ) while contemplating Ngu Binh mountain, enjoy Nha Nhac Vietnamese Court Music, you can be deep into an antique, tranquil atmosphere like you just come back in time a hundred years ago. 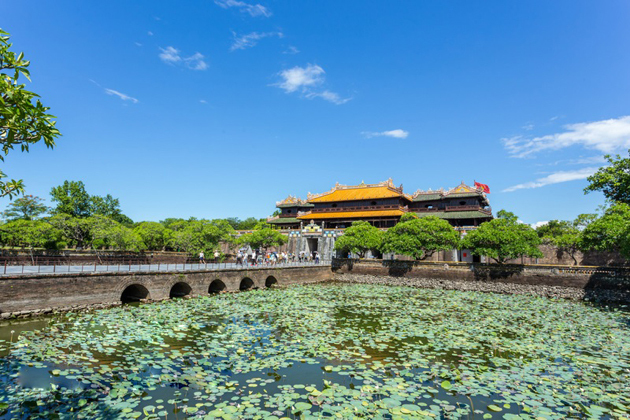 One of the most eminent destinations to visit in Hue is Imperial City with enormous walls and ancient palaces. Besides, Thien Mu pagoda, the oldest and the most magnificent building in Hue can give you the most stunning and gorgeous view of Hue City. Join Hue tours to have a completely unforgettable journey to Hue. 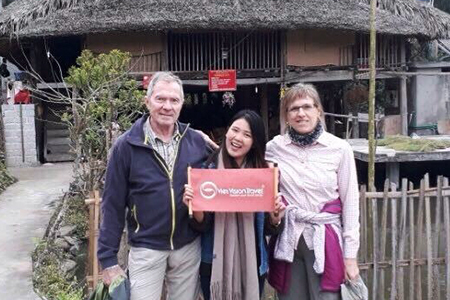 Go Vietnam Tours values our customers and are eager to bring them the greatest traveling experiences in Hue tours. 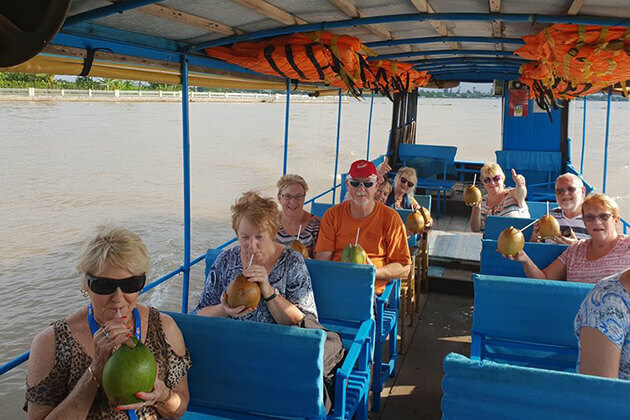 Just drop us an email or give us a call, and a personal travel consultant will help you prepare personalized Hue tours or Vietnam tour that go far beyond all of your expectations. 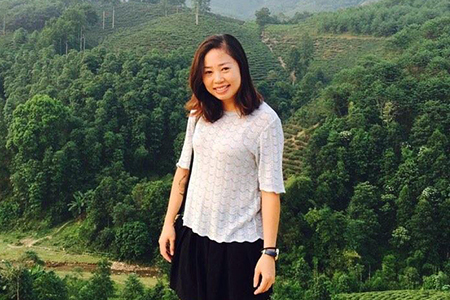 Friendliness and hospitability may be the two best words describing people of Hue. Their lifestyle imbued with the modernity of the 21st century but their spirit still heads to long-established values. Hue’s people prefer wearing the traditional costumes, tasting the traditional cuisine, and treasuring their ancestors’ heritage. They are not as hustling and bustling as Saigonese, as delicate as Hanoians; Hue’s citizens just live simply and rustically, which becomes the feature on saying about this city. 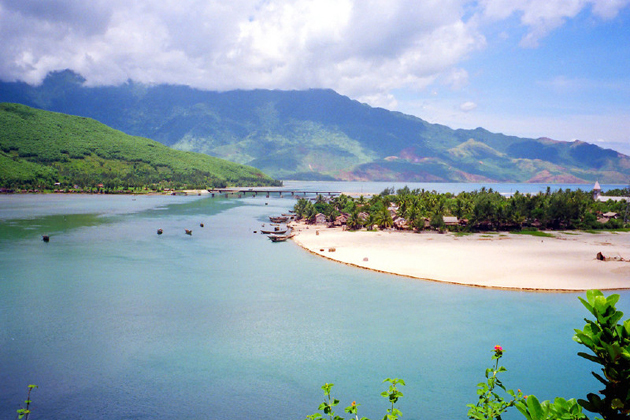 Located at the center of Vietnam, Hue has collected and combined a lot of cultures in the country as well as the world. You can behold a featured culture of Hue through delicate royal cuisine, interesting Nha Nhac (Hue Court Music), and unique architecture which is the melting pot of Vietnamese traditional sculpture and Western style. 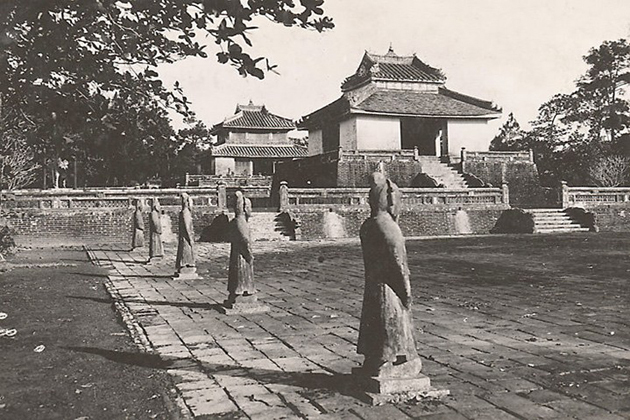 Therefore, Nha Nhac and Hue Imperial City are recognized by UNESCO as the World Heritage Sites. These months are spring in Hue when the weather is perfect for every activity. The average temperature is about 22 degrees Celsius, which makes getting out and exploring the city easier. 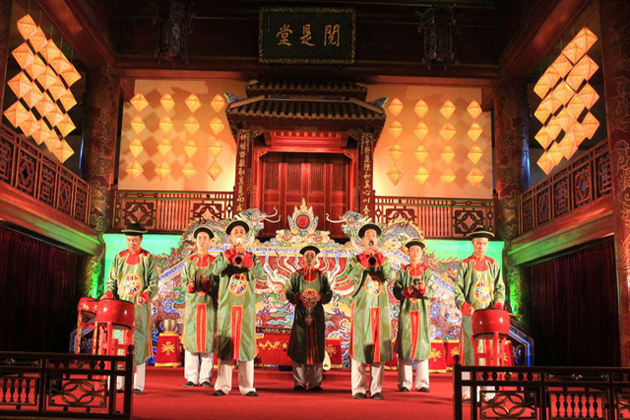 This is the best time for visitors to visit both historical sites and enjoy traditional performances such as the music of the Hue court. Visitors can still visit Hue during these months, but it is not recommended. Because of the summer months, it will make visitors feel uncomfortable when traveling in hot weather. However, indoor activities and beach are widely chosen by tourists. The rains occur frequently and can last few hours in these months. Therefore, the vacation could be interrupted during this time. 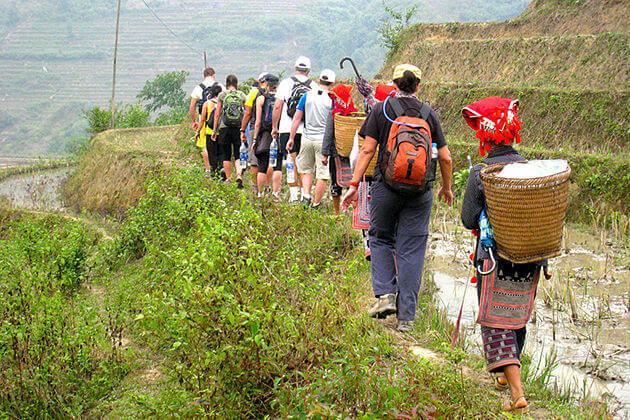 Tourists should consider travel to Hue during these months. Located in Ha Khe hill, on the north bank of the Huong river, about 5km west of Hue city, Thien Mu Pagoda is a famous spiritual destination of Hue. Along with the beautiful and ancient architecture, the mystical spiritual stories about the temple attracted the curiosity of tourists. With great investment and restoration, Thien Mu became one of the most beautiful and famous pagodas in Hue. 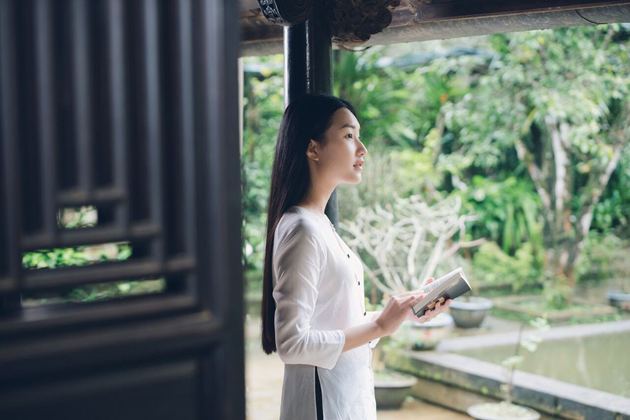 In 1714, Thien Mu was restored with great size and from that time it not only became the most beautiful temple in the capital, but also a place associated with many historical events which are reminded to the present time as the mysterious legend. 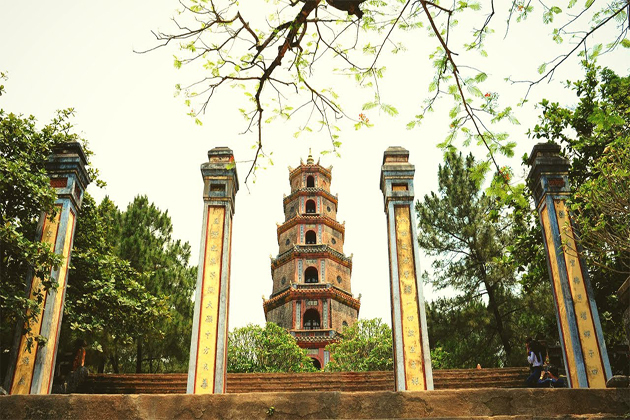 Phuoc Duyen Tower in front of the pagoda was built in 1844 as an inseparable symbol of the Thien Mu which has 21m height, 7 floors. Associated with Thien Mu Pagoda and Phuoc Duyen Tower, there are many other constructions such as Huong Ngoc, Dai Hung, Tang Quan, Quan Am ... over time with the restoration affected or a little more. Going into the pagoda, visitors will feel peaceful and separate from the bustling outside. 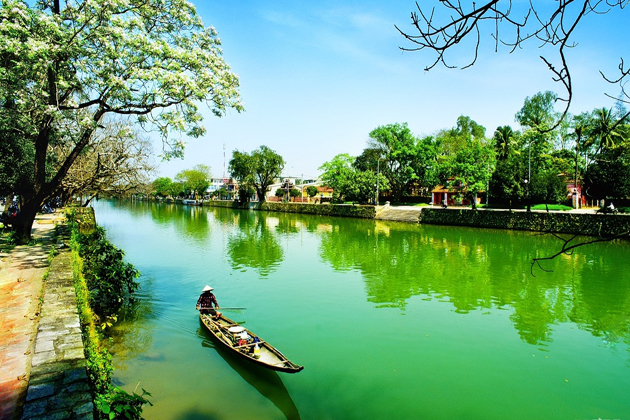 The river called Huong River because of its long history, the river flows through the forests with many aromatic herbs and when entering the city of Hue, the river brings the fragrance of natural grass. From the source, flowing winding through hills, forests, the river brings for the city of Hue the aroma of tropical forest herb which makes Hue more romantic and ancient. The water of the Perfume River is blue in color, the two sides of the river reflect the wonderful picture. Truong Tien Bridge crosses the Perfume River, as charming as the woman of Hue in a long purple dress. On the banks of the Huong River, many parks and landscapes are created to host events and festivals catering to the leisure of Hue city and its visitors. In particular, Hue songs in Huong river is “specialty” in Hue. Hue songs are the royal court music, followed by folk melodies of Hue with Ly Thuong Thuong, Ly Giao Duyen ... make tourists immersed in the art space of the ancient capital. Boat to Van Lau wharf, visitors will be drop lights on the Perfume River. This is a long-standing custom of the people of Hue with the desire for peace. Famous for the name "the beautiful fishing village", Lang Co is a gorgeous place when it has both natural favorable climate and charming scenery. With more than 30km of coastline, Lang Co belongs to the top 30 most beautiful bays in the world. However, this is still quite a new name for domestic visitors. Therefore, many people still can not know what to do and where to go to fully explore the Lang Co tourism. In Lang Co, mountains run to the sea, long white sand smooth, pristine scenery with the fishing boats moored… all of them make a fascinating picture. 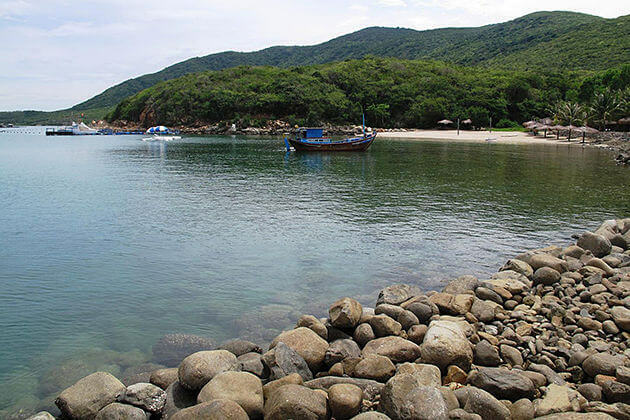 Lang Co is an ideal summer tourist destination, because of having both mountain and beach, located on the Central Heritage Road - the ancient imperial city of Hue, Hoi An Ancient Town and My Son Holy Land. There no doubt that this is the dream destination for all people who love exploring. Visitors do not only enjoy beach tourism but also experience ecological tourism, resort, and tropical forest exploration. The trip will be more perfect because Lang Co has the first international standard resting place in Vietnam-Laguna Lang Co. The resort is being favored by domestic and foreign tourists with luxury hotels, the 18-hole golf course designed by Nick Faldo. Not only to relax in the pristine natural surroundings, visitors also can enjoy special massage services - Banyan Tree and Angsana international spa brands. Built in the reign of King Gia Long and Minh Mang, located in the north of the Perfume River. Imperial City is a unique combination of traditional Vietnamese architectural principles, oriental philosophy with yin and yang theory and characteristics of Western military architecture. Built by King Gia Long in 1805 and completed by Emperor Minh Mang in 1832, Imperial City has a lot of citadels, palaces, and royal buildings. For nearly 200 years, it still is almost intact with nearly 140 large and small constructions. In the past, the Hue royal court was organized nationally and consisted of many small and large events, with strict regulations and annual celebrations. Nowadays, visitors can enjoy some special royal courts which people reorganize. The most special is the music of the royal court, which has been recognized by UNESCO as intangible heritage and oral tradition of humankind. This is the traditional oriental royal music, only preserved in the city. The lifestyle of Hue’s people is different from other places in Vietnam. Are you afraid that you do not have enough time and language skills to get on well with the difference? Do not worried! Try Hue food, as Hue people do! The way they do and the way they eat represents the way Hue people live. 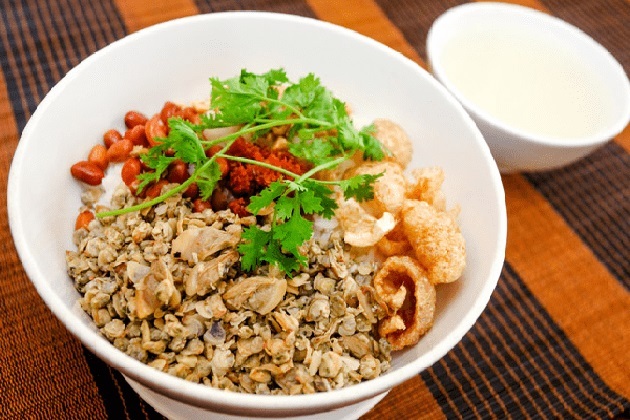 There are some recommendations of Hue dishes for visitors to enjoy and experience. Hue beef noodle brings a completely different taste compared to normal beef noodles and Pho The characteristic flavor of Hue Beef Noodle is hot, spicy and in the nature of citronella. It is served with a variety of vegetables and herbs such as bean sprouts, chopped bananas, minced cabbage, and lettuce. Unlike Pho with flat noodles, Hue beef noodle is made from large and round vermicelli. 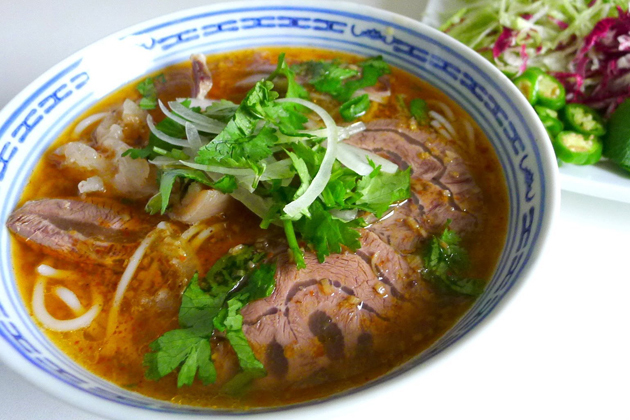 Hue beef noodle is the symbol of Hue, the specialty of Hue that you will remember forever when traveling Hue. Time open: 8.00 am- 8.30 pm. This is the fastest and most convenient way for visitors. There are currently three airlines operating flights to Phu Bai Hue Airport: Vietnam Airlines, Jetstar and Vietjet Air. Departures from two major cities both Hanoi and Ho Chi Minh City. Tickets are always available daily and visitors can book tickets online through airlines to save time and money. This is one of the good options for people who want sightseeing on the road. Although it takes about 13 hours to go from Hanoi to Hue, you can enjoy the beautiful scenery of Viet Nam on the road from Hanoi to Nha Trang when going by train. Train tickets from Hanoi to Hue are approximately VNĐ500.000 or higher depending on the type of service you choose. There are many types of transportation when visitors travel to Hue no matter what time it is. There are some recommendations for them. In addition, most of hotels also provide this service. With the tourist destinations within 10km, explore the ancient capital of Hue with a bicycle is the good choice of visitors. Travelers can rent bicycles at their accommodation or in Hung Vuong Street, Pham Ngu Lao Street in Hue City. It will be a memorable experience when visitors cycle around the streets and visit the tourist destinations to be able to feel the tranquil beauty of the ancient capital. The quality connection of mobile phone is Hue is good and stable. For the foreign tourists, they need to register with Vietnamese operators such as Viettel, Vinaphone or Mobifone for international roaming service, SIM card purchase, and others. Internet access and Wi-Fi connection in Hue are available in destinations, café, hotels, and other public places. Remember to bring with you a raincoat or umbrella because of frequent and sudden precipitation rain. Do not forget to check the weather forecast regularly, especially before going out. Preparation of the backup plan because the weather in Hue this season is quite unpredictable. Always carry a bottle of mineral water to prevent dehydration when going outdoors. This season, you can wear any clothes that fit your style. But in religious places, you avoid wearing too short skirts or open-toed suits to show your respect. When renting motorbikes or bicycles in Hue, check the brakes, horns, lights carefully. Do not forget to note down the contact number for the vehicle rental to contact the emergency situation. The roads in Hue are quite large and not too many cars, so rent a bike or motorbike for Hue’s trip is completely safe and enjoyable option. 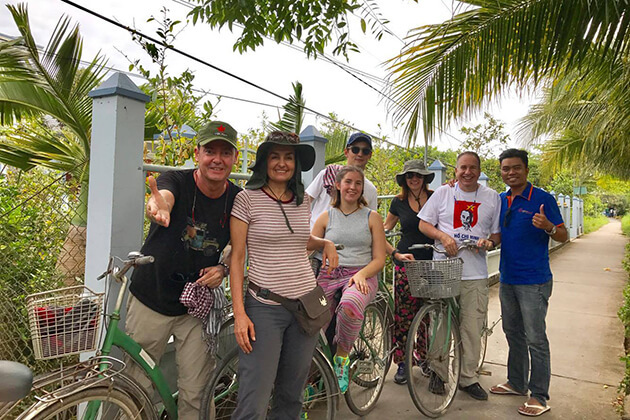 Note that bicycles and cyclo are only convenient when going around the center; if you want to travel to Hue's suburbs, taxis and motorbikes will save you time and energy. Before buying anything in Hue, remember to ask for its price first. 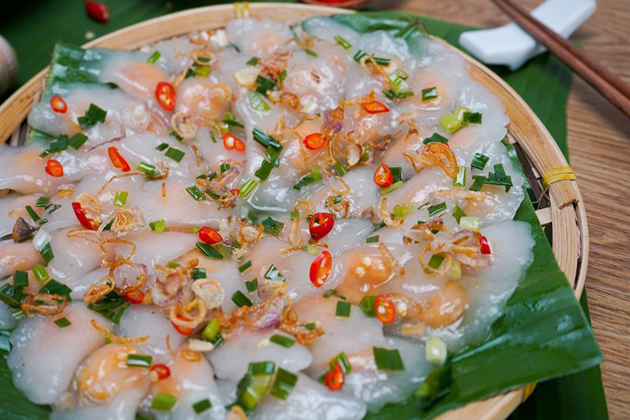 About Hue cuisine, it is spicy so if you can not eat spicy food, ask the waiters to reduce spices.